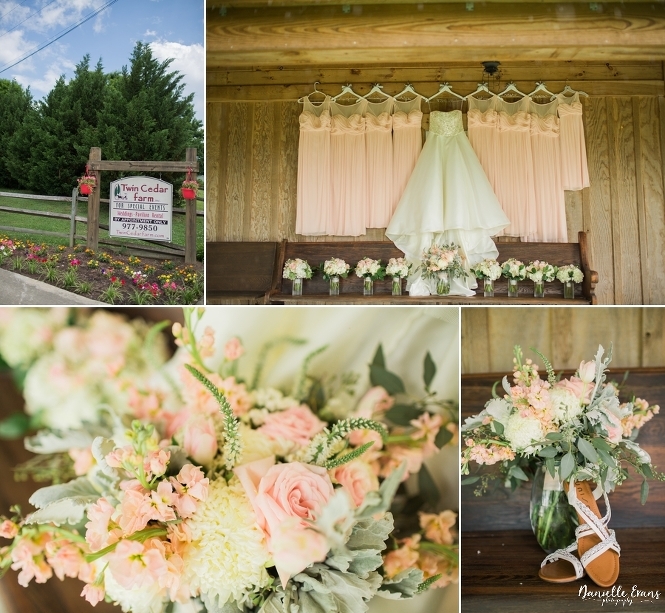 In June our sweet couple, Lorle and John celebrated their love with friends and family at Twin Cedar Farm. Nestled on a hill overlooking Rockford, TN, the rustic yet elegant venue was the setting for a beautiful day! The ceremony took place down by the pond in front of the gazebo. It was decorated with blush sprays and winding greenery. 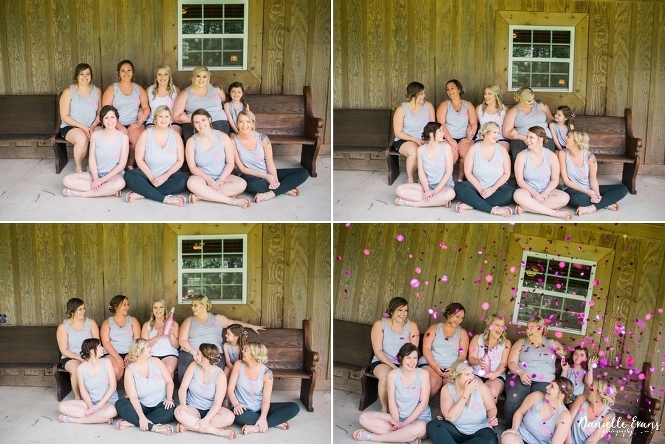 In true southern style, horse-drawn buggy brought the wedding party down to the ceremony. The bride took a special white horse-drawn carriage. She made her entrance through two vintage swinging barn doors. It was definitely a princess worthy moment we were so thrilled to be there to capture! The ring bearers pulled the littlest flower girl in a floral decorated wagon. Aren’t they just the sweetest?! During the ceremony the groom grabbed a guitar and serenaded his blushing bride. This Dollywood performer by day turned groom for the weekend brought tears to everyone’s eyes with special song just for Lorle. You couldn’t help but feel all the love and devotion these two have for each other as well as the happiness they were receiving from everyone present. We took full advantage of the Twin Cedar Farm grounds for the couple portraits following the ceremony. The couple was first spirited away in the white horse-drawn carriage and then we moved about the property, utilizing that golden hour light! The party then moved up to the reception hall where everyone celebrated the new Mr. and Mrs. Young with lots of dancing, lawn games and laughter. The sweetheart table had the cutest gold hoop decorated in greenery and Mr. & Mrs. signs hovering behind it. After the bouquet and garter toss, our sweet couple was sent off with the waving of orange and white pom-poms. Go Vols! For a peak into this sweet couple’s special day, keep scrolling!